At present more and more people get to economic expenditure. They always rent movies from iTunes Store instead of watching movies at the cinema. Sometimes, you find the iTunes movies rentals are so excellent that you want to keep it forever. Or you want to share movies with your friend, converting rent movies to unprotected ones is necessary. iTunes Store supports renting movies. iTunes movies rentals have many limitations, like you have 30 days from the time of rental to watch your movie, and 24 hours (in the US) or 48 hours (elsewhere) after you've started viewing to finish it. Once the rental period expires, the movie will disappear from your iTunes library. More, you can watch your movie rentals on your computer, iPhone, iPad, iPod touch (with iOS 3.1.3 or later), iPod classic, iPod nano (3rd, 4th, or 5th generation), or on your TV using your Apple TV (1st or 2nd generation). 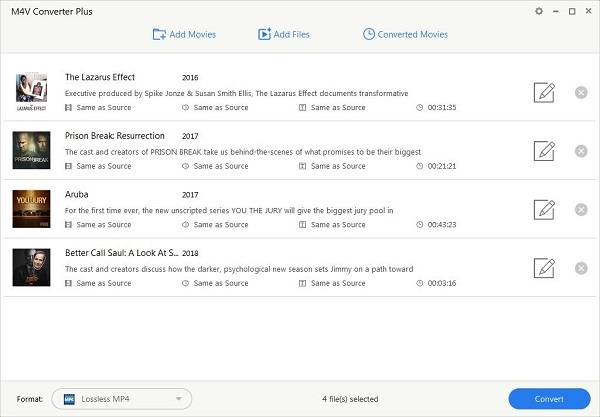 You can watch HD movie rentals on your computer, iPhone 4, iPad, iPod touch (4th generation), or with Apple TV (1st or 2nd generation). 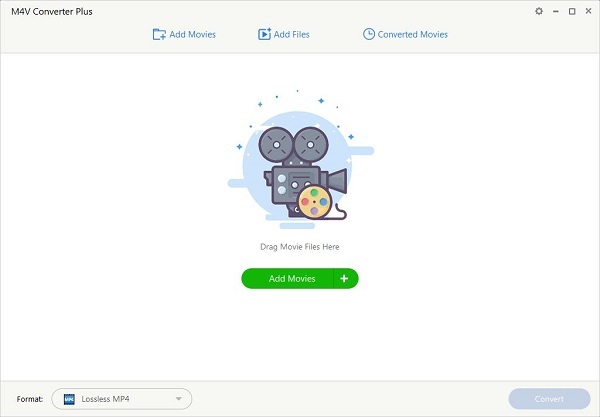 As a M4V Converter, it can remove the DRM protection from iTunes movie rentals and convert them to MP4, AVI, 3GP, 3G2, FLV or MPG. The M4V Converter uses high-speed recording technology, so it can convert M4V videos at great speed. There are several optimized profiles for PSP, PS3, iPod, iPhone, Apple TV, Zune, Archos, iRiver PMP, Creative Zen, BlackBerry, Mobile Phone, etc. With different quality in the software, and they can be used directly without any further settings. It allows you to set output video and audio parameters if you have special requirements, such as codec, bitrate, size, channel etc. Step 1: Download, install and run the software. Step 2: Click Add Movies button to add videos to the program. The program allows you to import files from different iTunes library (Default is All). Step 3: Choose an output format in the Output Format list. To set the output directory, please click "Lossless MP4" profile setting drop-down list to choose the output folder as you like. Step 4: Click the profile blue area to start conversion.